It’s a regular occurrence at Britney Spears‘ live performances that she has a guest from the audience join her onstage during the song “Freakshow.” She places this person in a harness and collar and at one point during the number walks them on a leash like the “bad boy” they are. The crowd goes wild, and a good time is had by all. Well, last night’s concert in New York City saw a very special “Freakshow” guest, and the night’s Andy Cohen Britney Spears concert appearance has us howling — but maybe not for the reasons you’re thinking. 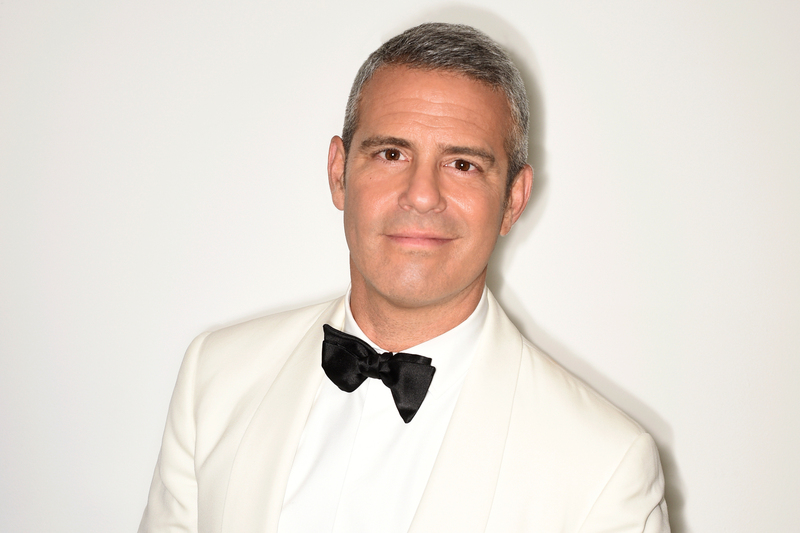 After watching the footage of the Andy Cohen Britney Spears number, it’s rather obvious that the pop tart has no clue who the late-night Bravo TV host is. Remember when Andy Cohen pulled that shadiness on Kathy Griffin — the “I don’t know her” moment heard round the world? Well, even though we’re pretty sure Britney legitimately just has no clue who Cohen is, now we guess he knows how it feels. One thing is for certain: Andy Cohen was truly getting his life last night as the Britney Spears “Piece of Me” tour — previously her Las Vegas residency show — rolled into Radio City Music Hall. He was clapping, stomping and, at the end of the “Freakshow” number, bowing down to the princess of pop. But as this Andy Cohen Britney Spears number wound down, it became rather obvious that Spears had no clue who this guy was, most likely despite the huge rounds of applause he was garnering from the audience. “I think you all know who this is. Give it up for him!” Spears told the crowd at the number’s end, looking at Cohen several times with a kinda blank stare. Don’t we know, Britney. Don’t we know. What did you think of last night’s Andy Cohen Britney Spears routine?